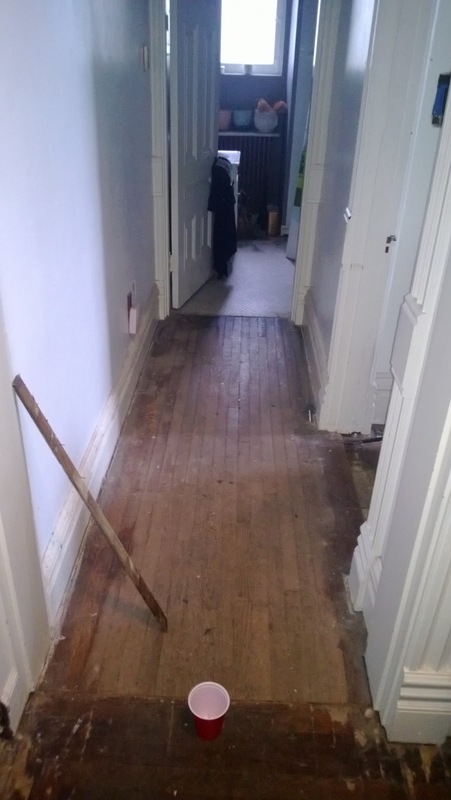 So what if we're getting house guests tomorrow, lets tear stuff up! 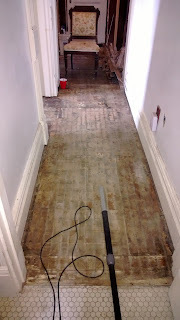 And by stuff I mean floor. 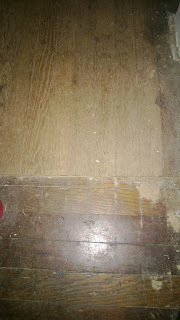 And by floor I mean the cheap oak that was slapped on top of the existing quartersawn oak and faux grained pine. This top layer was poorly installed (splitting, cracking, buckling) around the same time that the house was split into a multi-family in the 20's to hide the changes to the floor plan. 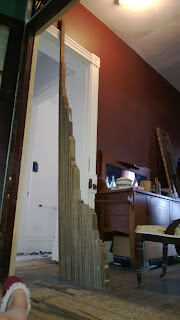 We started from the living room, and an hour later the boards were gone (don't worry, we're keeping them and hopefully will reuse it upstairs in a herringbone pattern, we have two full rooms of it to remove downstairs) . . . The purpose of this, in addition to general removal of travesties, was to get an idea of what changes had been done to the house. 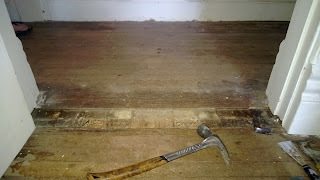 We were hoping the pine underneath (the original finished floor) would give us some clues, as it has done elsewhere in the house. Specifically, we know this hallway was once part of the dining room, and that it was seceded when the bathroom was added (we've seen the remains of the cove ceiling and original stenciling above the drop ceiling in the bathroom, and the door trim in the hallway only matches that in the dining room). 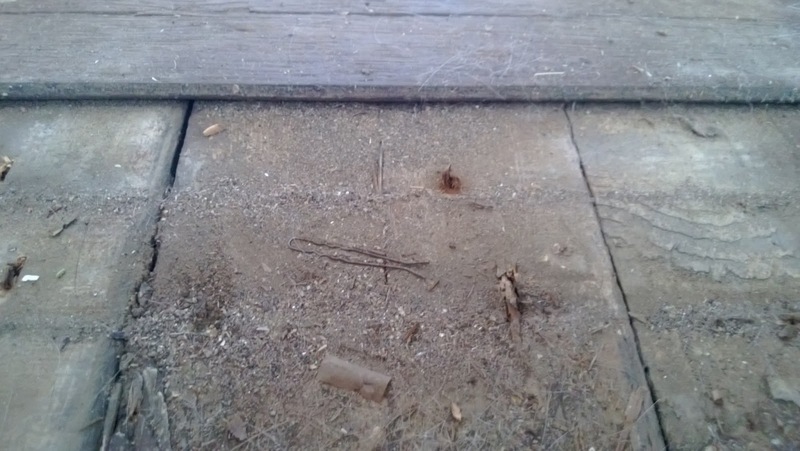 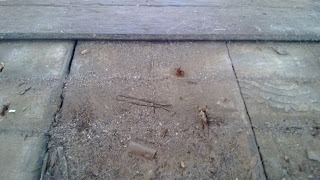 I was holding out for an outline on the floor of either a built-in, or the correct door location from the front parlor to the dining room, sadly, all I got was a bobby pin and some cut floorboards whose significance is yet to be determined . . .